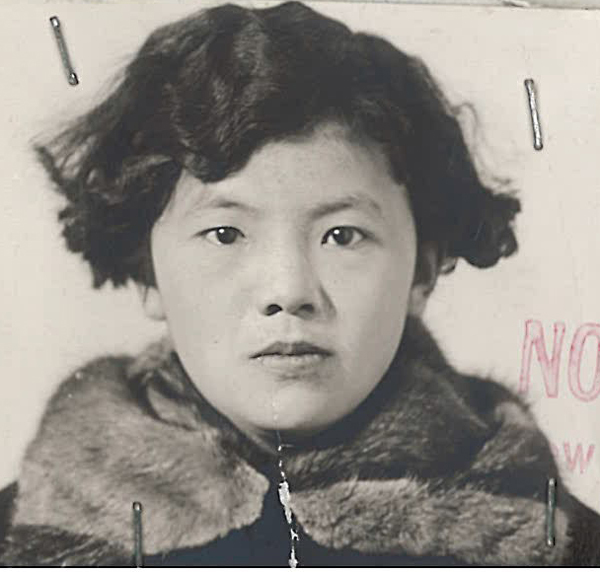 “May Sophie Lee, Form M143 photo” 1924, Chinese Exclusion Act case files, RG 85, National Archives-Seattle, May Sophie Lee case file, Seattle Box 178, 2850/6-2.May Sophie Lee 李美(Chinese name Lee Soon Wah) was born in Philadelphia, Pennsylvania on 18 May 1898. Her parents were Lee Toy 李才and Chee Fung. She had a younger brother named John Paul Lee 李進普, born on 9 May 1900. 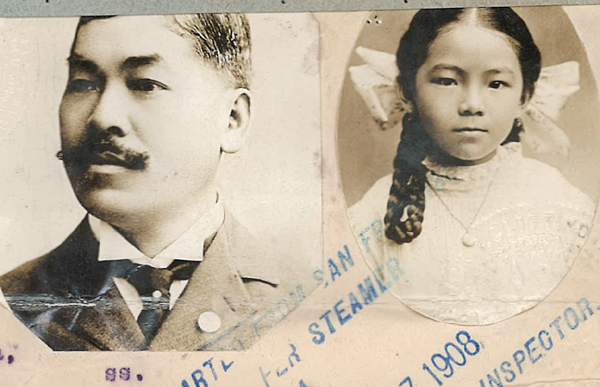 In October 1908 May Sophie Lee, age ten, her mother and brother were preparing to leave the United States on the SS Siberia through San Francisco for a trip to China. The Immigration inspector examined May Sophie’s passport no. 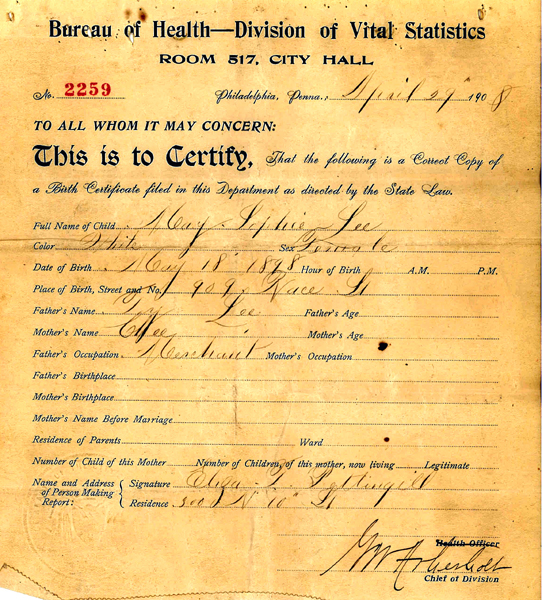 64231, two affidavits with photos and a certified copy of her birth certificate. The birth certificate states that she is white. 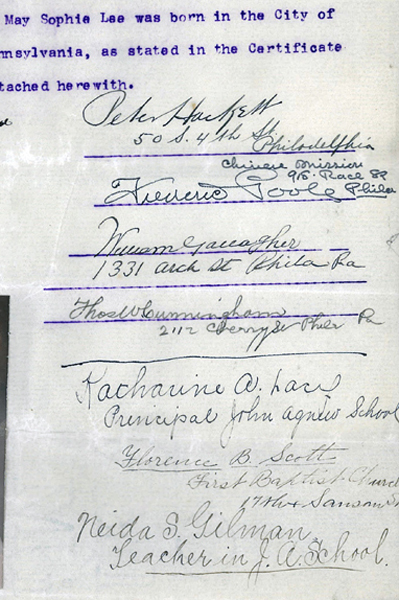 Frederic Poole, Chinese Mission, 918 Race St.
Florence B. Scott, First Baptist Church, 17th & Samson St. While in China May Sophie attended school until she was 21 then attended medical school in Canton City and received a medical degree. 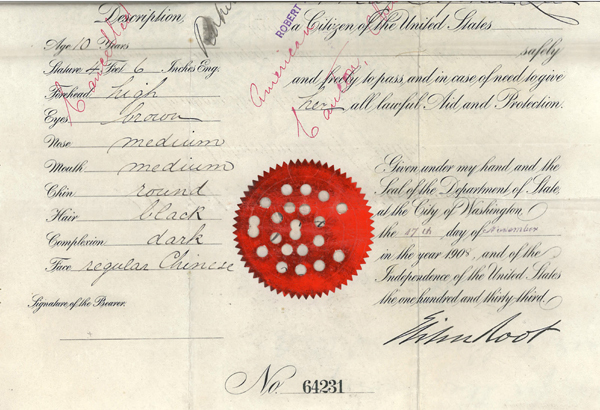 She practiced as a physician in Shanghai for over a year before returning to the U.S.
May Sophie Lee was admitted to the United States at the Port of Seattle on 15 December 1924 as a returning citizen. 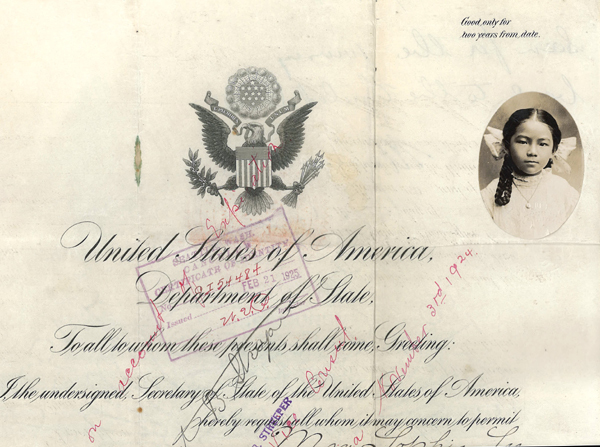 She was 27 years old and was on her way to the Chung Wah & Co., Philadelphia, Pennsylvania with plans to continue her medical career.